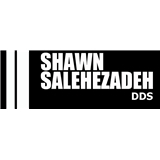 Shawn Salehezadeh, D.D.S. (New York) - Book Appointment Online! Dr. Salehezadeh was great! She was very friendly and knowledgeable, and performed a great cleaning. I hadn't been to a dentist since I moved to the city (partially afraid of finding a dentist), and she couldn't have been nicer. Also showed me the before and after of what she cleaned and she really made a difference! Only thing that was a little disappointing was that I had a 10:00 AM appointment, and wasn't called in until 10:15. Once I was seen, everything went quickly, but I was hoping to be in and out within a half-hour and was not. Not a big deal, as the office was busy and I wouldn't let that deter you from visiting her.